of the seeds. I know this may be normal for some people but as the last thing I grew was some mustard and cress on a cotton wool wad in Biology in 1976 I am finding this all too amazing. I can’t let this post entirely go without also mentioning that I delegated the work out to a green fingered lady in order to give the crop an exponentially better chance of harvesting in. 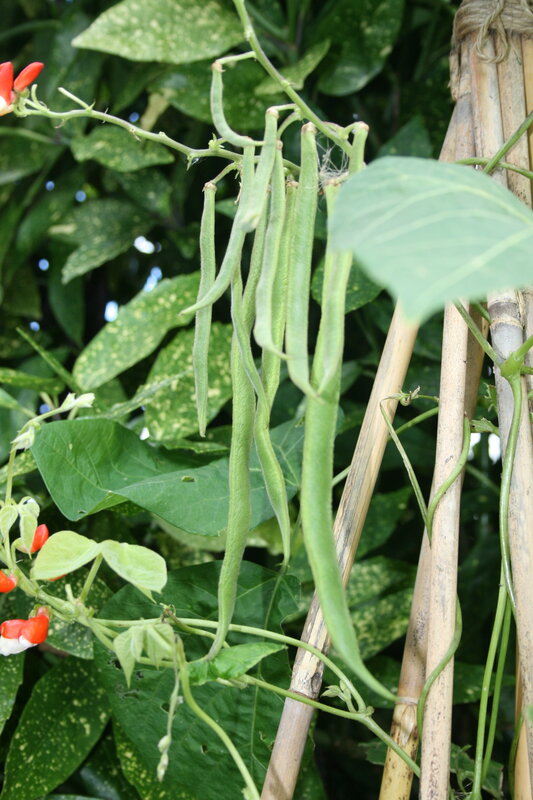 This entry was posted in The Song House and tagged crops, cultivation, runner beans. Bookmark the permalink. Well grown! Keep picking them while they are young and tender, don’t leave them to grow too big or they’ll get tough and stringy (but you probably know that). Enjoy! Good shout Geraldine. As an analogy, which would you prefer to get your teeth into, winger – Sharapova or old stokie? Errrrrrrm it’s 1 Sep the day after one of Stoke’s most momentous days in recent or even long history and you haven’t blogged since using a green fingered, snigger, lady! Sort it!